Al-Shabaab, a jihadist fundamentalist group based in Somalia, claimed responsibility for the deadly attack carried out in Nairobi on January, 15–16 that killed 21 people. The al-Qaeda affiliated group seeks to establish a fundamentalist Islamic state in Somalia and controls much of the country’s southern and central rural areas. Al-Shabaab operates in Somalia, carrying out terror attacks mostly against government forces and the African Union Mission to Somalia (AMISOM). Supposedly, Kenya is targeted by the group in revenge for its involvement in the Somali conflict. What is the current state of Al-Shabaab? How is an inter-jihadi conflict between the group and Islamic State in Somalia (ISS) developing? How do they recruit supporters and why does Al-Shabaab gain more support from the local population? 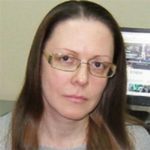 Tatyana Kanunnikova discusses these and other issues with Richard Barrett CMG OBE, a recognized expert on terrorism and extremism, a former British diplomat and intelligence officer. In 2004-2013, Mr. Barrett headed the Al-Qaida and Taliban Monitoring Team at the United Nations. 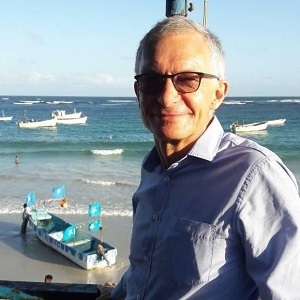 At present, he serves as Director of The Global Strategy Network and sits on the advisory boards of a number of institutions, such as the International Centre for Counter-Terrorism – The Hague and Somalia-based Hiraal Institute. Mr. Barrett, you are a member of Board of Advisors of Hiraal Institute, Somalia’s only security think tank. How would you assess the current security situation in Somalia? What is its role in regional security? There is no doubt that security in Somalia is, at the very best, fragile. 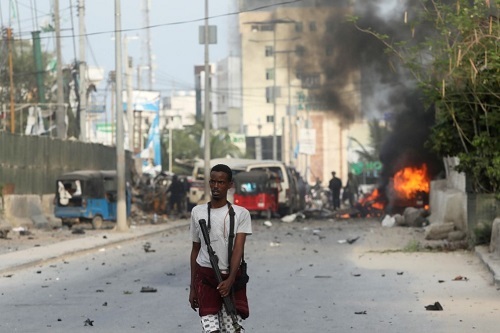 Al-Shabaab remains strong but more importantly, the Federal Government remains weak. Even though the security forces are improving, they remain very reliant on AMISOM and US support. There is no capacity to hold the countryside and small towns even after military offensives have cleared them of Al-Shabaab forces. Until Somalia is secure, the region will suffer, in particular, Kenya, but also Tanzania and other regional states. According to your report “The Islamic State In East Africa,” ISS has the potential to expand its presence in East Africa and Somalia in particular. Why is Somalia important for ISS? Somalia is important to ISS because the lack of strong Federal and local forces allows it to establish a base in East Africa to which it can attract recruits and from which it can spread its influence. ISS is trying to challenge the dominance of Al-Shabaab. In its turn, Al-Shabaab has declared an open conflict with ISS. How do you assess this inter-jihadi conflict? Can al-Shabaab be used by Somali government to defeat ISS in the country? If and when Al-Shabaab and the Federal Government come to a peace agreement, their combined forces could quickly destroy ISS. But until then, ISS will continue to attract members of Al-Shabaab or others from the region who do not support the limited nationalist objectives of Al-Shabaab and instead support the idea of ‘global jihad’. Al-Shabaab sees ISS as a threat to its dominance in Puntland and the area around Mogadishu and is determined either to destroy it or to ensure that it cannot expand further. Al-Shabaab has the greater strength, but ISS has the greater appeal. Which jihadist group, ISS or Al-Shabaab, has a more advantageous position? Which one has more support among the local population and attracts more funds? Al-Shabaab is far superior to ISS in manpower, reach, finances, and capability. It is far better established and is better practiced at dealing with the Clan structure. I do not think either has much support among local non-combatants, but insofar as Al-Shabaab provides a level of security, civic order, and predictability, and is able to resolve disputes and enforce court judgements, it provides elements of government and governance that the local people seek. ISS, on the other hand, is more predatory and has to enforce its control through violence and intimidation. What are the recruitment tactics employed by both groups? In what ways are they different? Both groups offer some money, opportunity, action, engagement, and adventure to young people who have few options. Since it is bigger, Al-Shabaab can also offer career prospects, marriage, and a sense of belonging in excess of ISS. Both groups welcome new volunteers, but also make families and clans who live in the controlled areas to supply new recruits. Al-Shabaab’s has its own “secret service” — the Amniyat. Their informants have managed to penetrate even in government bodies. Is Al-Shabaab’s Amniyat really that powerful? What is known about the tactics it uses? The Al-Shabaab Amniyat is well trained and draws on selected members of the movement who are loyal, committed, and able to act on their own or in small groups. They are the elite of Al-Shabaab and are powerful in a sense that they are feared and their members are not known to other Al-Shabaab units. They collect intelligence and plan operations against Federal Government targets, and also act as an internal police force. They use traditional tactics of information gathering and hope to pass unnoticed in enemy territory. In your opinion, what are the prospects for Somalia in terms of security? What should be done to achieve stability in the country? I do not believe there can be any stability and long-term security in Somalia until a) the Federal Government pulls together, functions perfectly, and agrees on a division of responsibilities with the Federal Member States; b) corruption is reduced to ‘acceptable’ levels; c) the Somali people see the Federal Government as being more effective than Al-Shabaab in providing good governance; and d) both the Federal Government and Al-Shabaab realize that they will gain more through politics than through warfare. Author – independent journalist, graduated from the Moscow State Institute of International Affairs (Faculty of PR). RIAC expert. In addition to being an Associate Fellow at the Royal United Services Institute, Richard Barrett primarily serves as senior vice president for special projects at The Soufan Group in New York. He is also a director of the Qatar International Academy for Security Studies in Doha, a national security fellow at the New America Foundation in Washington, and a senior research fellow at the Center for Research and Security Studies in Islamabad. He serves on the boards of various other institutes and foundations related to counter-terrorism. From March 2004 to December 2012, Richard was coordinator of the Al-Qai’da and Taliban Monitoring Team at the United Nations in New York, appointed by the UN secretary-general. In 2005 Richard helped establish a system-wide UN working group on terrorism, which became the UN Counter Terrorism Implementation Task Force following the adoption by the UN General Assembly of a Global Strategy to Counter Terrorism in September 2006. Within the Task Force, he led on radicalisation and de-radicalisation issues and on terrorist use of the Internet; he remains an adviser to its director. Before joining the UN, Richard worked for the British Government in the Security Service, the Foreign Office and the Secret Intelligence Service, where he was in charge of counter-terrorism before and after the attacks in the United States in September 2001. He has served in Canada, Jordan, Turkey, and at the United Kingdom Mission to the UN in New York.